The Magic of Children in the Arts is hiring a part time arts administrator to assist in all of the tasks required for managing an art exhibition and more. www.magicofchildren.ca. This position features flexible hours and includes both working from home and some onsite office hours. Access to a computer is essential. Wage $18 per hr., 10+ hrs per week. 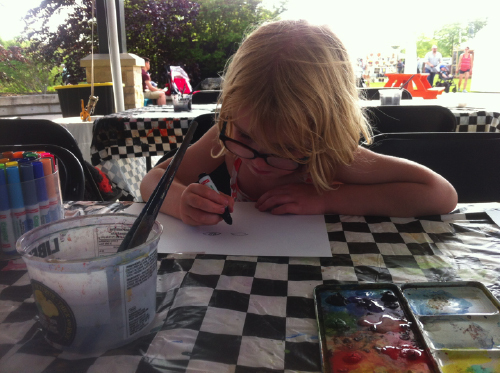 Over the years we have been asked over and over about affordable art classes for children. We are finally able to do it! Saturday art classes will begin on Oct 21st and run until the end of June 2018. The art classes will be held on Saturdays for two age groups: Art Sprouts age 4-7 years in the mornings 10am - 11:30am, and Art Jam for age 8 - 13 years from 1:00pm - 3:00pm. The classes are grouped into a series of 4-week blocks. Art Sprouts will be $45 for the 4-weeks, and Art Jam classes will be $65 for the 4-weeks. This includes all materials. The website is now updated so you can register online. Space is limited. Please book early. The classes will be held above the National Bank in their Community Room. 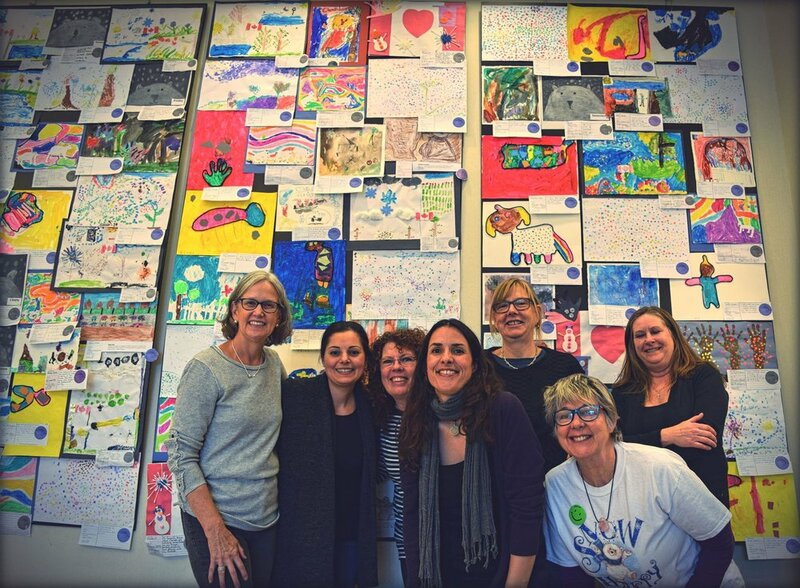 It was a busy weekend at the Collingwood Public Library with our awesome volunteers collecting, sorting and entering hundreds of children's art pieces into our data base. Many dedicated teachers took time out of their weekend to make sure their students work was submitted on time. Thank you!! We had a great team of volunteers: Thank you to Sharon Stewart, Marianne Lepa, Ron Domerchie, Florijan Papa, Haley, Sadie, Yvonne Gibson, Joan Walters, Pam Burbidge and Pat McCrindle! You were super organized! Thank you Melanie Vollick for taking photos of over 900 artworks. It was a lot of fun seeing the variety and great artwork come in! Congratulations kids for your hard work! Our talented Magic Teaching Team delivered 42 art workshops for the children in the libraries and local schools over the past month in preparation for the show: Thank you Sabrina Parrish, Jordan Eveland, Shelley Hannah, Ayrlie MacEachern, and Bev Stableforth. This is going to be the best show ever! Hummingbird Montessori school teacher delivering her students artwork. The 2015 Magic of Children in the Arts was another stellar year with several FIRSTS! We had a record number of children participate- 679! We brought in two Art Stars to lead a fantastic weekend-long Mind-Craft Sculpture Installation at the Collingwood Public Library. Over 50 kids helped Anne Barber and Brad Harley from Shadowland Theatre create a painted cardboard replica of downtown Collingwood. It was a lot of fun and the kids did a fantastic job. We had an Art Print Satellite Show at the Press Room Gallery across the street. Prints were made of a selection of the children's artwork and displayed on the walls for a month. We sold a few of the prints for $5 each. We expanded our outreach teaching program to include 2-3 visits to participating schools. We had classrooms from Collingwood schools drop in and visit the show. We had a record number of kids enjoy the free Library art artworks leading up the show. We are already planning next years event for 2015. It will be another exciting year, as we welcome the talented Camilla Patten onto the board of directors. She is bringing experience, creative ideas and new energy to the Magic of Children in the Arts. We are looking forward to working with Cam, and expanding what we do. Keep watch for updates here, as we move forward! You can meet Camilla this weekend at the Creemore Children's Festival Saturday August 2 2014. Check out the Enterprise Bulletin Story in today's paper about our incredible success with artsVest. Magic & The Enterprise Bulletin News! Check out The Magic of Children in the Arts 20th Anniversary Commemorative Book on our website link . Artwork can be mounted on paper, bristol board or matted, but not framed. Canvas is also accepted. Maximum size is 18x24 inches. Georgian Life TV: I am going to be on the Georgian Life TV show on February 19th to promote the show and remind the kids to drop off their artwork. So tune in and thanks once again for all of your ongoing support for Children in the Arts! The Party: We are having a party on the Awards Day. There will be music and special treats to eat. All past participants and sponsors are invited. We are thinking of having cupcakes or fancy cookies made (with our new logo on them). Boston Pizza: Boston Pizza has agreed to be a sponsor. They are going to provide 450 loot bags for the kids PLUS a family dinner to a 'best in show' art piece. PLUS they have offered a pizza party at their restaurant- BUT the idea includes us selling tickets to raise money for Magic. Boston Pizza will provide the food, and we get to keep all of the revenue from the ticket sales. Soooo I am thinking of having the Party on Monday March 24 so we can sell dinner tickets at the Awards Reception. $20 each. Would anyone be able to give me a hand organizing this? 705-812-2914. The Peak FM: The Peak FM has agreed to be our media partner. I was on the radio in January and will be again in February. PLUS they are going to make public announcements throughout February and highlight the art show in March. Georgian Life TV: I am going to be on the Georgian Life TV show on February 19th to promote the show and remind the kids to drop off their artwork. 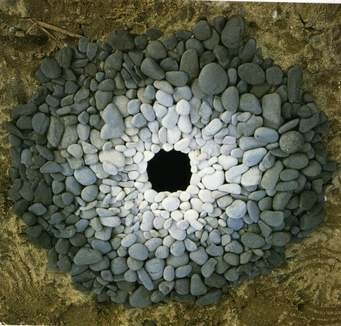 Art Workshops: We have been giving free art workshops at the Library on Saturdays January 25- Feb 15 from 1pm-3pm. We have also been going into the schools to do art workshops. The schools have been great this year and are contributing $250 to help pay for the art instructors and prizes. Creemore & Nottawa included! Town of Collingwood Grant: We applied to the town of Collingwood Arts & Culture program for the 20th Anniversary extra expenses and have received $3000! Yeah!! That is it for now. This year is going to fun, but more to do. So please ask a friend to join us as we celebrate 20 years and over 7,000 children creating, exhibiting and celebrating their ART! Free Art Workshops! Register today! 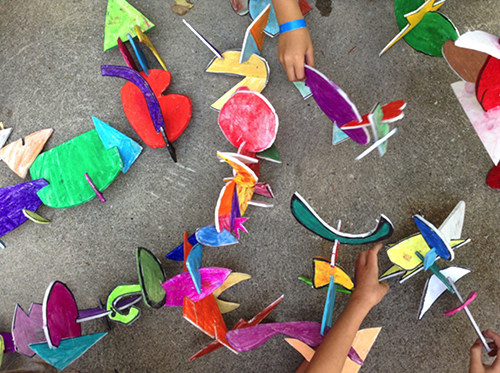 The Magic of Children in the Arts is offering FREE Art Workshops at the Collingwood Public Library. Get your artwork created for the show!! Children in grades JK to 8. We can now accept Donations online! The Magic of Children in the Arts can now accept Donations online! This is our 20th Anniversary, and we have some extra special activities planned for 2014. We are inviting all past participants to attend our Awards Reception on Saturday March 22 from 1pm-4pm. There will be yummy treats, live music, great art, and some surprises! Magic has featured over 7,000 children's pieces of artwork over the past 20 years. Great paintings, drawings, sculpture, pastels and more! We have photos of all of them! Many of you are now adults and starting your careers, many of you in the arts. Please consider making a donation to this amazing event! Thanks! The Magic of Children in the Arts has been approved to participate in the ArtsVest Ontario program. This is a once in a lifetime opportunity for our organization. Collingwood was selected among hundreds of other Ontario communities to receive this unique arts funding. This is how it works: for every new Collingwood business sponsor dollar we raise, ArtsVest will match that amount. The concept is a fun way to engage and partner with local businesses and develop a creative approach to working together. The result is a win-win for everyone. For Example: if a business sponsored an art workshop at the library, a theme reflecting their business sector could be developed: a car dealership sponsor theme could have children draw and paint futuristic vehicles in imaginary worlds. The dealership could participate in selecting it's favorite piece and have the image printed on greeting cards. There are lots of ways for us to work together with Collingwood businesses and inspire our community to get creative! Please contact Lory MacDonald to discuss how YOUR business can get involved.